If you are used to using Caps Lock to switch between uppercase and lowercase letters, you’ve probably encountered a delay resulting in second uppercase letter. A lot of Windows, and to some extent OS X users, are used to using Caps Lock while typing to switch between lowercase and uppercase letters. This is a result of learning how to use keyboard during the first interaction, thus becoming a default habit later on. Some people are saying that using Caps Lock for switching is incorrect and that the correct key for switching between uppercase and lowercase letters is Shift (including its usage for different symbols in numerical keyboard.). Before while the typewriters were in use, Caps Lock was mostly used for writing titles and the mechanical part of typewriter would adjust for it when activating it. If you wanted uppercase letter, you would use Shift while typing. 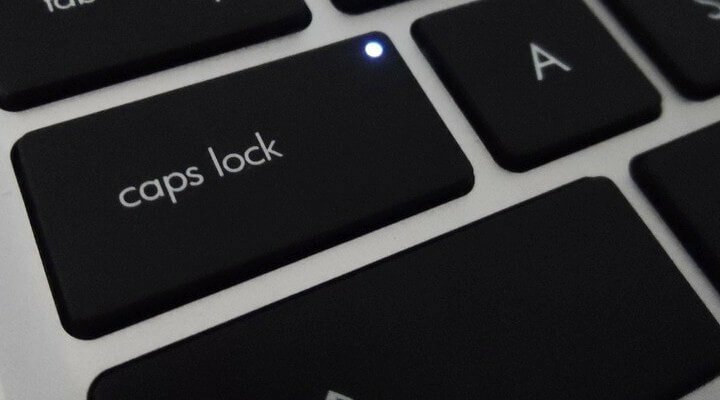 What’s the problem with Caps Lock? All Linux distributions have the same behavior. The consequence is presence of delay when switching between uppercase and lowercase letter when using Caps Lock. This is due to the fact that on/off is switched when releasing a key instead of it being switched on key press. There are patches posted in reports which should correct the problem, but it doesn’t fix it completely. Until that’s solved, or Wayland becomes the norm, we can temporarily fix the problem with the following shell script. All you have to do is download the files above by cloning repository or by downloading zip file, and place the shell script and xbkmodmap in your /home folder. After that give it executable permission by opening terminal in /home after extraction typing: chmod +x fixer.sh. After next reboot, the delay should be less noticeable.